Luxury New Beach Homes, Resort Beach Vacation Properties, Mobile Homes, Farms, Acreage, Land, Building Lots, Houses, Condos & Townhomes for sale in	Kent & Sussex Delaware. Are you looking for Commercial Properties? Jeffrey Fowler, REALTOR® Delaware Commercial Real Estate Agent - Keller Williams Realty. We can show and help you with buying or selling Commercial property in Delaware. Qualified Delaware Commercial MLS Realtor. 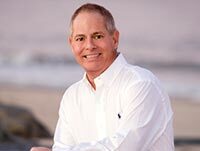 A recent buyer of real estate in Southern Delaware described Jeffrey as a "consummate professional." "He takes his work, and most importantly, his clients, very seriously. Our initial phone call to Jeffrey was promptly returned. Every interaction from that point was both professional and timely." Glowing testimonials such as this one, as well as many others, give our customers the confidence that they are dealing with a Realtor® that will take their needs seriously, and deliver on all of their requirements in an exceptionally professional manner. Jeffrey Fowler's goal of 100% customer satisfaction is one he strives for every single day. Building long-term relationships with his clients, he has gained a reputation as friend, as well as a Keller Williams Realty Realtor®. Jeffrey Fowler will help you find the commercial property of your dreams in Delaware.